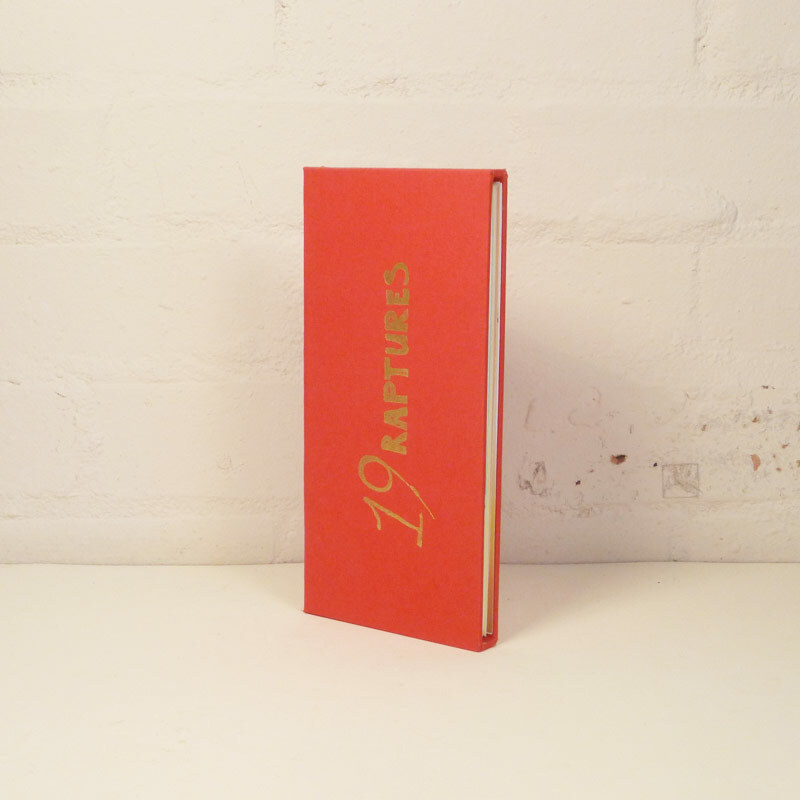 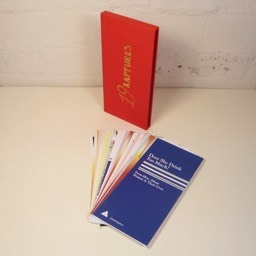 19 Raptures is an edition of 502 numbered copies, each containing nineteen leaflets, by nineteen different authors writing on the subject of addiction, obsession and compulsion. 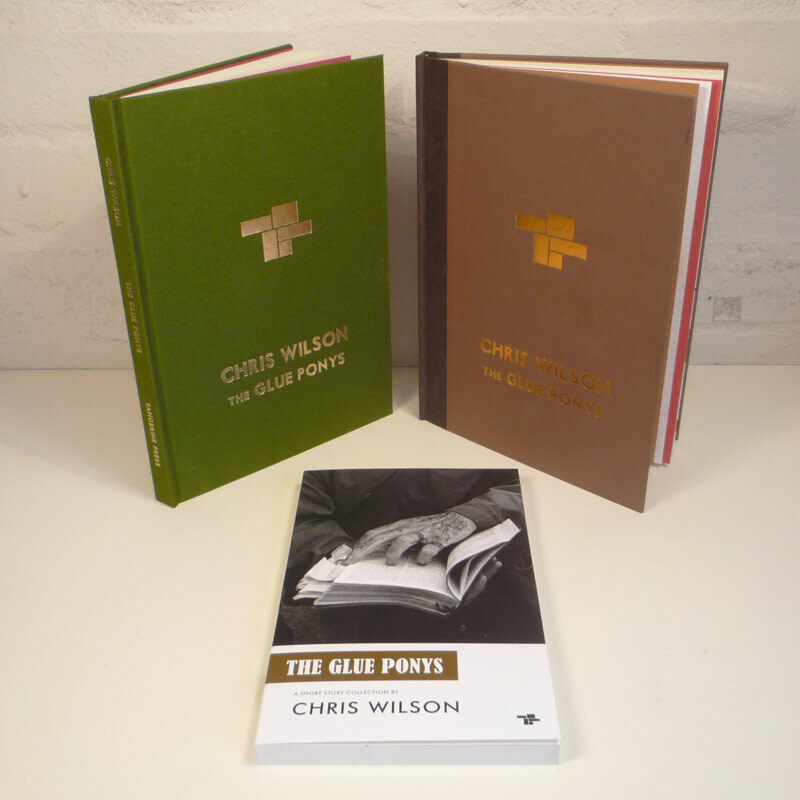 The first 52 copies of this edition were housed in a custom slipcase bound by Tangerine Press, with a cover design by Bella Freud. All proceeds from the sale of the resulting publication 19 Raptures will go to the charity RAPt (The Rehabilitation for Addicted Prisoners Trust), who offer drug and alcohol treatment services to prisoners in UK jails. 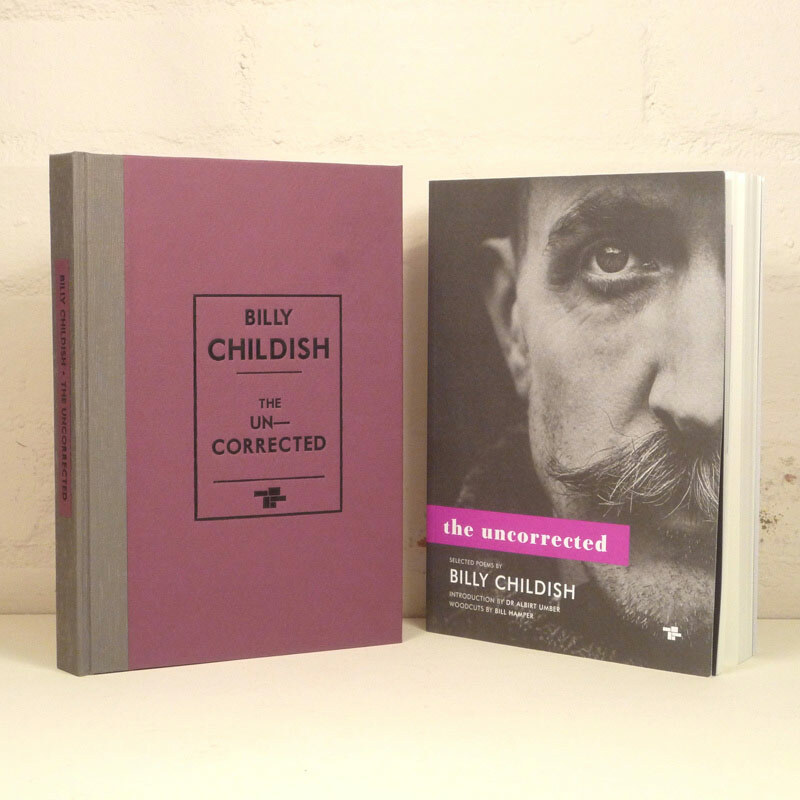 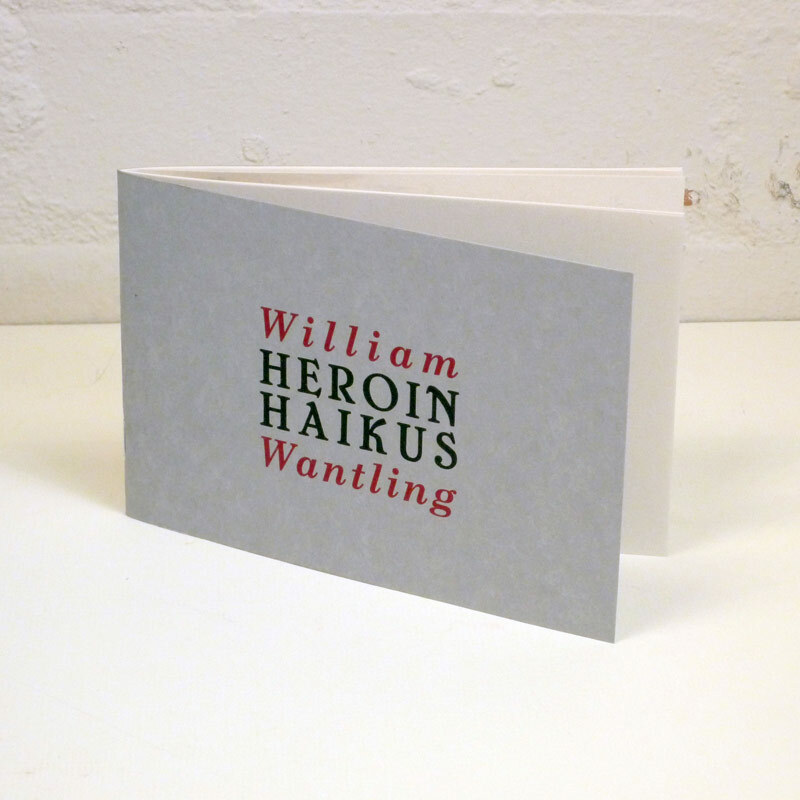 Contributors: Anonymous,	Spilios Argyropoulos, Sarah Jessica Brown, Billy Childish, Charles Chesshire, John Crace, Francesca Dark, Bill Drummond, Tracey Emin, Richard English, Rebecca Fortey, Sebastian Horsley, David Jenkins, Frances Kay, Julian Keeling, Nick Mercer, Beth Orton, Will Self, John Stammers.